"We didn't know we could use Office 365 this way!" We often hear this from companies we work with. It is common for people to use an inefficient process for a long period of time and, by chance, discover that there is a more efficient way of getting things done. For example, some marketing departments are still using Microsoft Word and Outlook to author blog posts, which is a very inefficient process; while others are including OneDrive for Business and mobile device Office apps to enable on-the-go coauthoring of blog posts. With the ability to work on blog post content on any device anywhere away from the workplace, the "lucky" companies are able to take collaboration and productivity to higher levels. Instead of waiting to stumble upon a more efficient way of getting things done in your company, create a strategy to help everyone discover and experience better processes. By the way, this is an actual trend in the online marketing realm. To create opportunities to innovate, improve, and adapt, many online marketers dedicate about 20% of their daily time on trying to find new and improved ways of conquering their markets. Given the fact that disruptive changes are the norm, for them, it is usually not viable to deploy all efforts on doing only the things that work at the moment; enough time has to be allocated to finding things that may work better. This strategy has proven essential to businesses that expect to beat the competition. This level of need for ongoing innovation also applies to productivity and collaboration platforms like Office 365. A process may be efficient but, usually, there are better alternatives. For companies to remain competitive, end users have to be empowered to experiment and discover new and improved ways of getting things done. This is especially true for digital workplaces that are heavily reliant on collaboration. The goal is to remove all barriers that inhibit the quest for improvements and to create a culture that encourages discovery. When processes continually improve, companies get the most out Office 365. In turn, when usage deepens and widens, return on investment is attained and timely ongoing digital transformation can be achieved. Most companies tend to leave the responsibility for internal innovation to executives. Even if they develop a strategy towards that end, the implementation is made dependent on the work of a small group of people, an IT team, or a department dealing with analytics and innovations. They forget that end users are the best resource since they make use of the platform on a regular basis. Input from leadership is not enough; end users are the better candidates for the task. Moreover, there seldom is a sound strategy to encourage end users to take initiatives in this direction. The steps below will help you turn your colleagues into creative innovators who leverage the great features native in Office 365, optimize the platform usage, and maximize their productive output. This is basically a communication challenge: employees need to know that they are allowed to try new things and search for faster, easier, and secure ways to do their work. Let them know what is expected of them in this area and arrange that they allocate a daily or weekly time slot to the task. The amount of time allocated will depend on how urgently new processes are needed. To persuade them of the necessity of their contribution, focus on the benefits they stand to gain on a personal level. Explain how efficient ways of completing tasks makes everyone's life easier. It is essential that substantial efforts are made to make incremental improvements toward a more productive digital workplace. Many times, it is not enough for employees to know what they need to do. Some kind of incentive should be considered. Reward those who find new processes that prove to be more efficient. Think of anything that can help motivate them. Consider the kind of rewards commonly used to drive digital adoption, including the financial type. External motivators can play a major role in bringing employees to commit to a task. For employees, one of the greatest barriers to searching for better processes is the learning curve. Just the thought of having to search for help documents or videos tutorials is enough to dissuade anyone. VisualSP, a contextual learning system removes this roadblock completely. This plug-and-play add-on application embeds help items right under every feature of the platform. Annotated screenshots, pdf tip-sheets, screen-capture videos, step-by-step walk thru bubbles … are some of the mediums in which help items are available. With a single click, an end user can view a help item and immediately be able to use a feature. No need to learn beforehand and no need to remember the steps. As VisualSP removes the barriers to using Office 365, employees find it exceedingly easier to try new and improved ways to get things done. 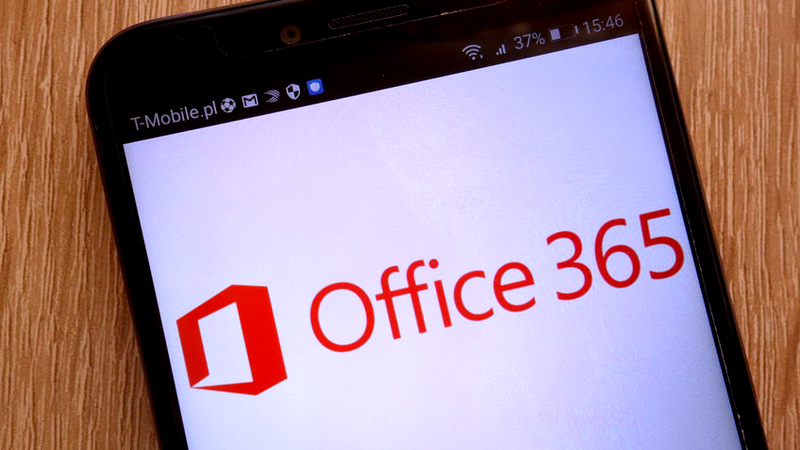 With a comprehensive platform like Office 365, it is always possible that your colleagues can use a more efficient process when completing repeated tasks. Always look for ways to be more productive with the platform. With time, Office 365 user adoption will deepen, productivity will improve, and your digital workplace will get ahead.